Windermere has grown out from being just an eight-agent office in the suburbs of Seattle back in 1972. Under the helm of founder John F. Jacobi the company grew steadily, thanks in part to his forward thinking and straightforward business practices. Today, Windermere has transformed from being just a host of nine satellite offices within Seattle back in 1975 to becoming a network of over 300 affiliated agencies stretching as far south as Arizona and as far north as Western Canada. 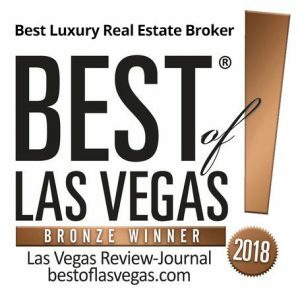 Over these years, the company introduced a range of innovations that make our approach to real estate what it is today, including a sliding commission scale for agents, the Premier Properties program, the Windermere Index and Windermere Modern. The company opened its first affiliate office in Las Vegas in 2004, setting up shop in The Villages at Lake Las Vegas. Windermere’s community of real estate professionals is our greatest asset. We currently have more than 100 individual property agents, specialists and dedicated support staff who are ready and willing to give you a hand with whatever luxury real estate concerns you might have. Our property experts are skilled in handling every form and aspect of luxury residential properties, from your typical starter home to condos, luxury properties, and new construction. While residential real estate is the mainstay of our business, Windermere also has offices and associates who specialize in property management, commercial real estate, and relocation services. To further facilitate the home buying process, Windermere has affiliated partners in certain regions to provide mortgage, title, and escrow services. Whatever part of the home buying or selling process you are in right now, our dedicated real estate team will be there for you, helping you every step of the way. Our agents have access to a wide range of innovative tools and programs, allowing them to serve home buyers and sellers in a way that is truly unique to Windermere. Some of our most successful tools were developed and refined by years of testing and use by our mother company, granting us tried and tested methods and techniques to help serve our clients better. Our other tools were born from our agents’ own ingenuity, drawing on their experience as natives of Las Vegas. We continually look to them for ways to improve upon everything we do, enabling us to provide a more unique approach to our transactions. Ultimately, the most powerful tool that Windermere has is our agents; their professionalism and commitment to community enables them to tailor their service individually to each of their clients’ needs. Windermere is committed to the communities in which we live and work. We believe in giving back to the communities that have helped us grow as we help them grow in kind. For over 25 years, the Windermere Foundation has helped provide sustainable homes for the less fortunate members of society, a job it continues in each of the locations where affiliate offices set up shop. The annual Community Service Day is another company-wide tradition that is in full effect at Windermere Prestige Properties, aimed at helping out our host neighborhoods through volunteer work. Windermere agents, owners, and staff also take part in a variety of other local community events in fulfillment of our social responsibility to help build and sustain thriving neighborhoods.